The 'Round the Island Yacht Race was a sailing event directed by a committee of the Charlottetown Yacht Club, Charlottetown, Prince Edward Island, Canada. 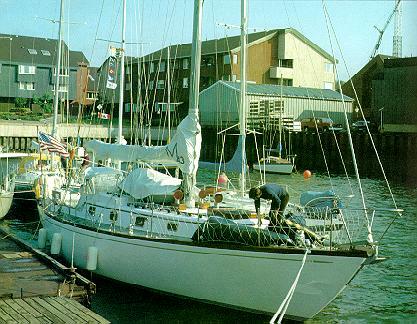 The event consisted of a 360 nautical mile, two-and-a-half to four-day cruise (depending on wind and weather), circumnavigating Canada's smallest province in a clockwise direction. 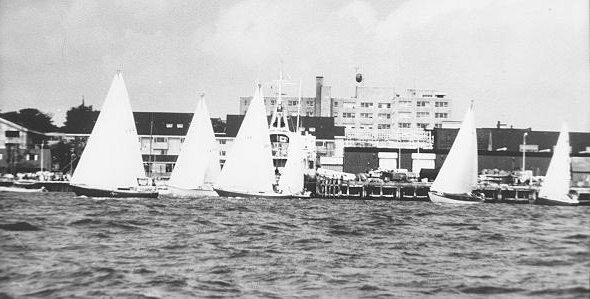 The race started from and ended in the Charlottetown Harbour with no stops required. 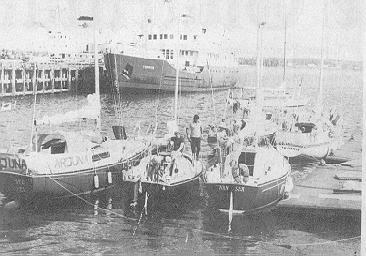 The 'Round the Island Yacht Race was run annually from 1979 through 1984 and gained a reputation as one of the premiere events of the region and has been widely written-up in such magazines as Yachting, Canadian Yachting, and Sailing Canada. After a twelve year absence the event was revived with a very successful running in 1997. The next running will take place in the summer of 2000. If you think you are up to the challenge, please come aboard! ﻿We have compiled the history of each running of this race from some detailed archives kept by Ron White. I would like to take this opportunity to thank Ron for his great record keeping and permission to use all his material to develop this site. ﻿Here is the start of a collection of stories, as recalled by some of crew members who participated in the event over the years.